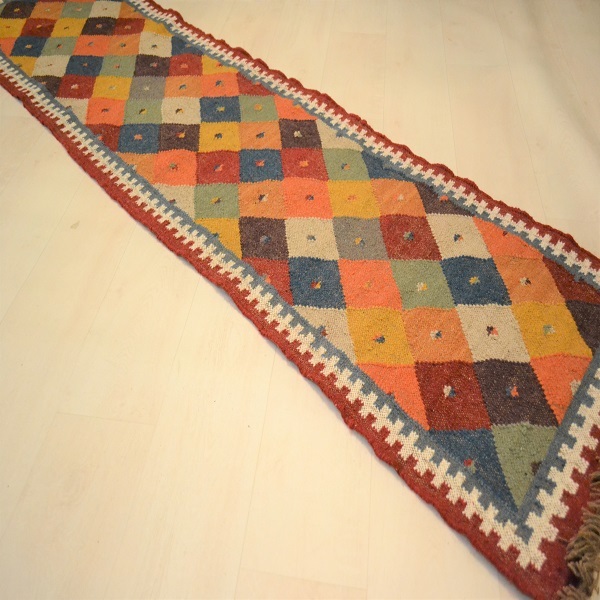 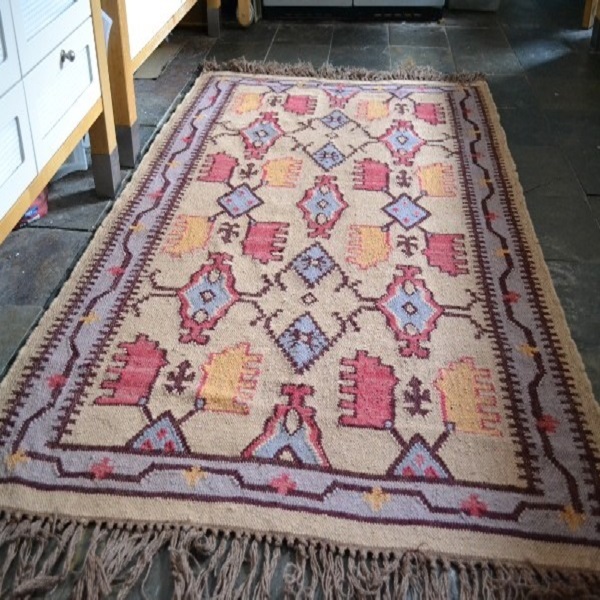 100% Wool, Hand Knotted Kilim Rug. 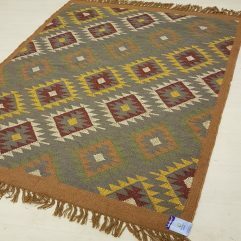 These rugs are made on looms and give a stunning rustic look to any room. 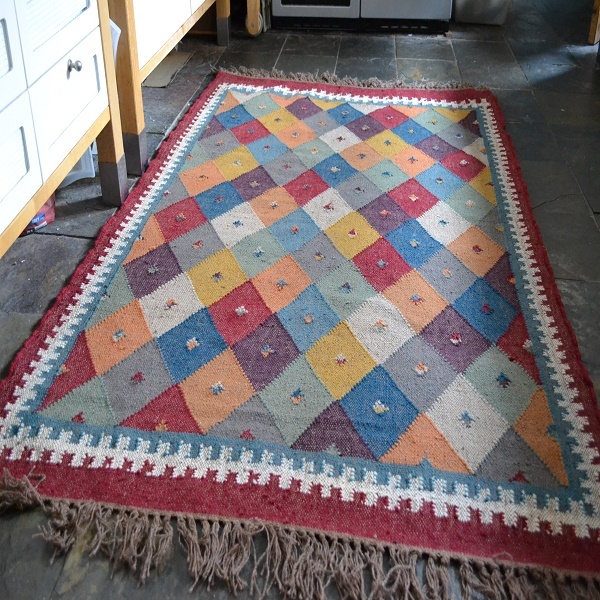 They look stunning in a Cottage setting. 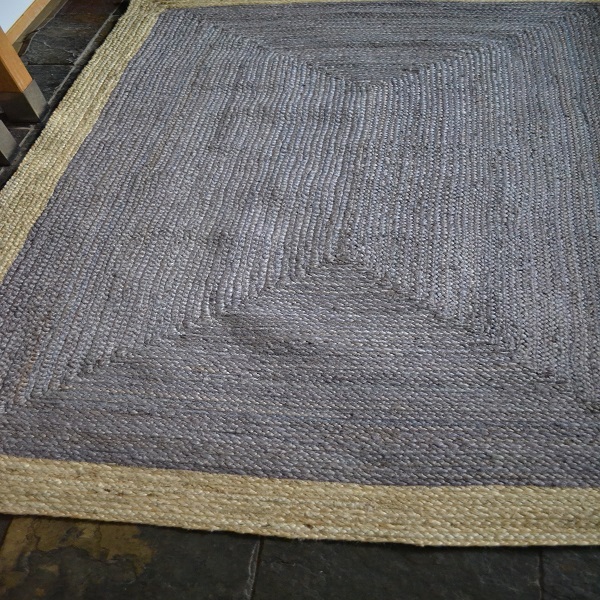 Three sizes, including a runner. 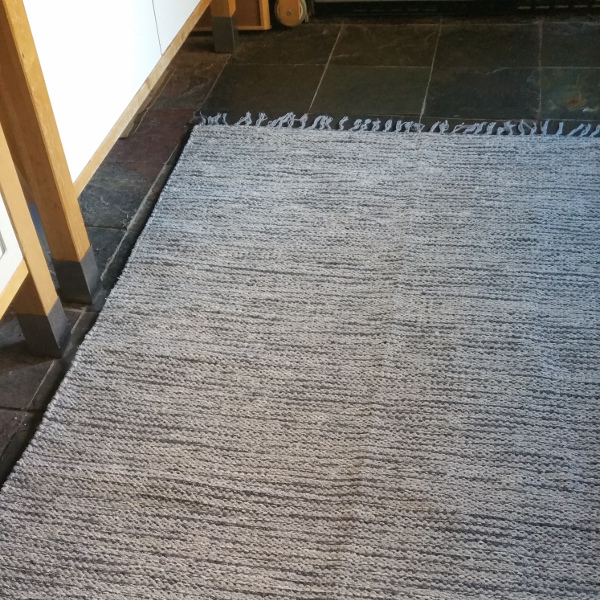 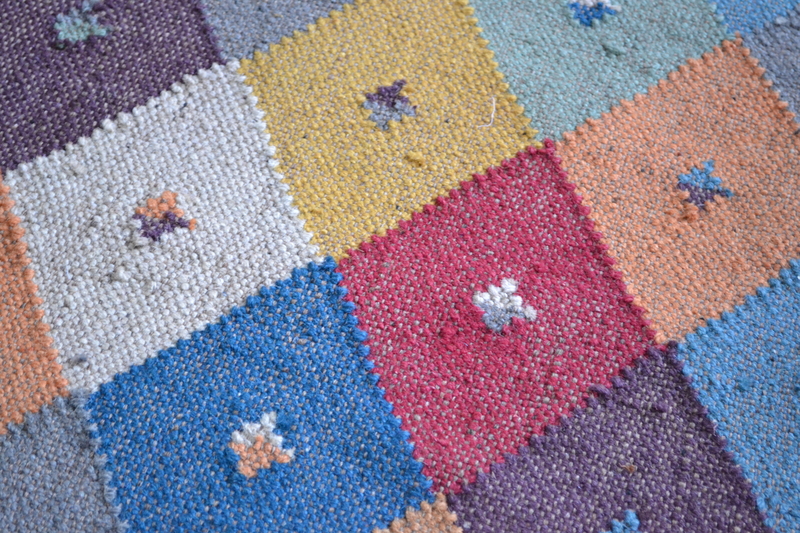 The shades of this rug are a deep Red, Blue, Grey with Mustard shades.